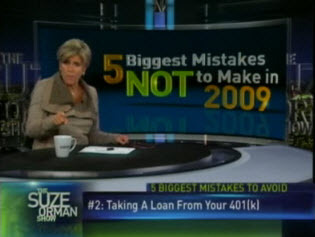 The Suze Orman Show on CNBC has debuted a new virtual set by Full Mental Jacket and Brainstorm. 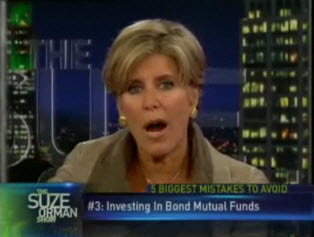 The new set allows information to be displayed in new and innovative ways, “One advantage of a virtual set is that informational graphics can be inserted directly into the template, making them crisp and clear.” With this new setup, Suze Orman can give here advice with charts and graphs appearing all over. The technology powering this virtual setup is the same technology NewscastStudio reported on at NAB 2008. Continue reading for more pics and information. As virtual sets continue to grow in use by major networks it will be interesting to see how long until a major nightly program is produced 100% on a green screen. Now that MSNBC and CNBC have invested heavily in these setups, we can only hope they continue to try new things and develop new uses for their technology. 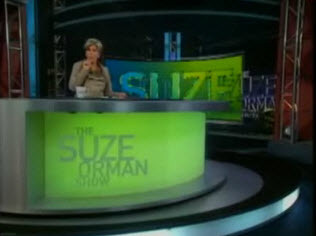 Visit Broadcasting and Cable to read more about Suze Orman’s new setup or watch a clip of her show at CNBC.com.